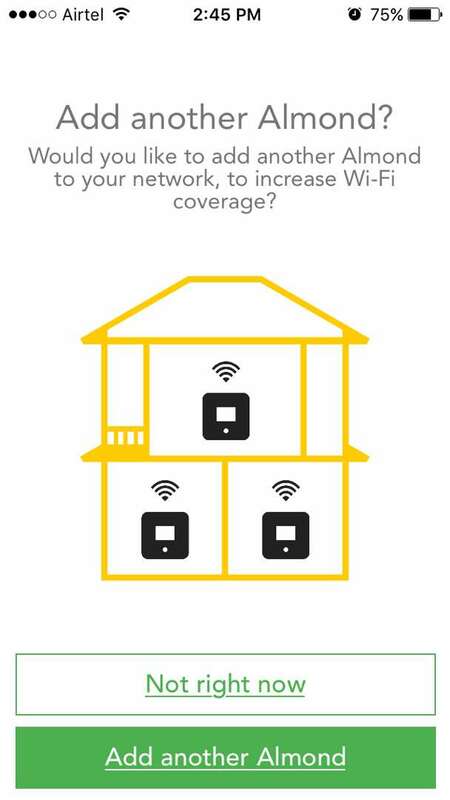 Mesh network is a way of establishing wide range using multiple units along with seamless connection. 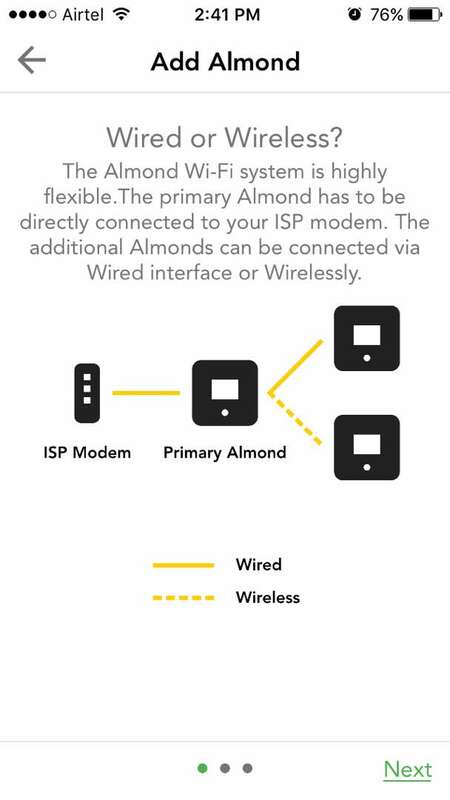 Wired Mesh - Setting up multiple Almond 3’s with an Ethernet connection to improve range and speed for both hardwired and wireless data. 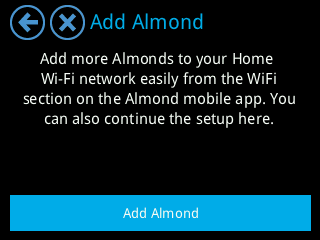 This is possible when one Almond 3 is set up as the Primary router. 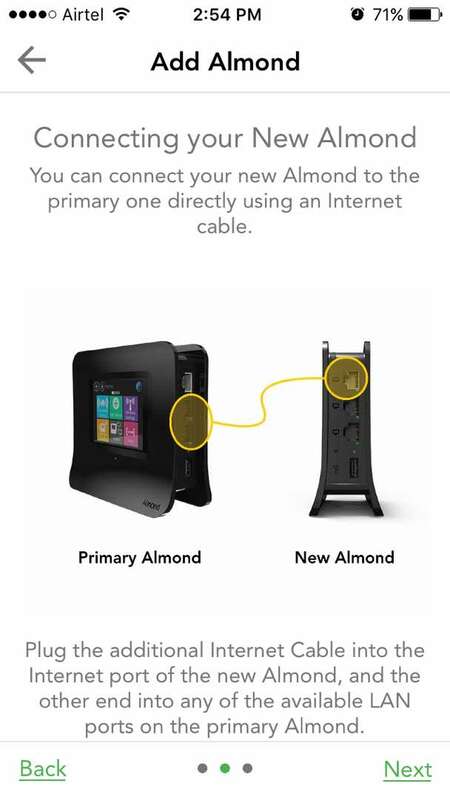 Initial Setup - An Almond 3 should be the Primary router by establishing a connection either from the cable modem or through the gateway. 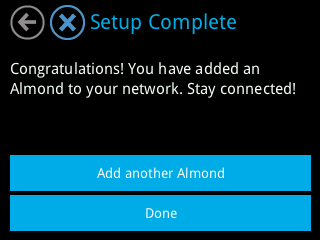 Once it is set up as the Primary router, tap on “Status” to ensure that it is connected. 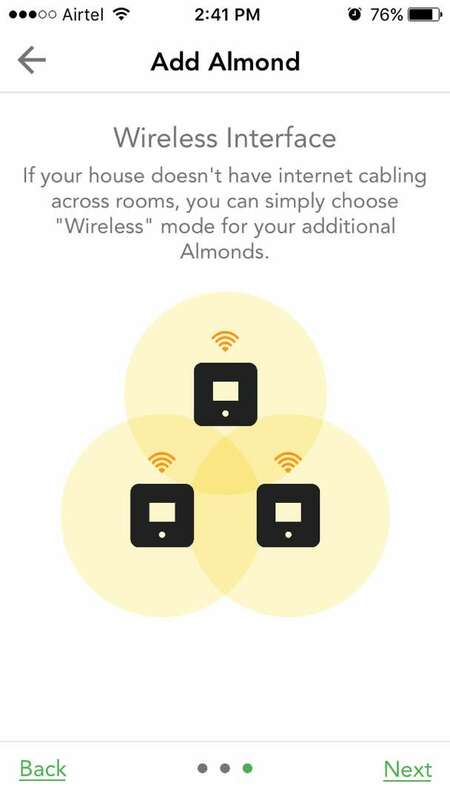 Then tap on “Add Almond” on the Primary device and follow the below instructions to set up the Almond 3 Home WiFi System with the Secondary devices via Ethernet connection. Direct Connection - This method uses a run of Ethernet cable, possibly with connections and jacks, to directly connect between the Primary router and the Secondary. No other network appliances or equipment is between the two (or more). As long as the Internet is working on the client device (through the ethernet cable) Secondary devices should connect and work just fine. In order to set up a wired mesh, connect the Ethernet cable from a LAN port of the Primary device to the WAN port of a Secondary device and follow the below instructions to complete the set up. Please note that particularly long Ethernet cable runs can cause some signal loss so validate that the cables meet their appropriate specification (ex: Cat 5e, Cat 6, etc…) and any connections or jacks that are part of the run have been installed properly. Network Switch - This method uses a run of Ethernet cable, possibly with connections and jacks, to connect the Primary router to a network switch. The switch is then used to connect to multiple other locations using further runs of cable. Overall this will operate fairly similar to direct Ethernet cables although it requires more initial setup, cost, and complexity but provides longer term flexibility and reliability. Please make sure that all connections and/or jacks have been installed properly and that the network switch is fully operational. Powerline Adapters - This method is similar to the direct Ethernet cables or network switch method stated above. Instead of a run of Ethernet cable being between the devices though the house’s power lines are used by the adapters. 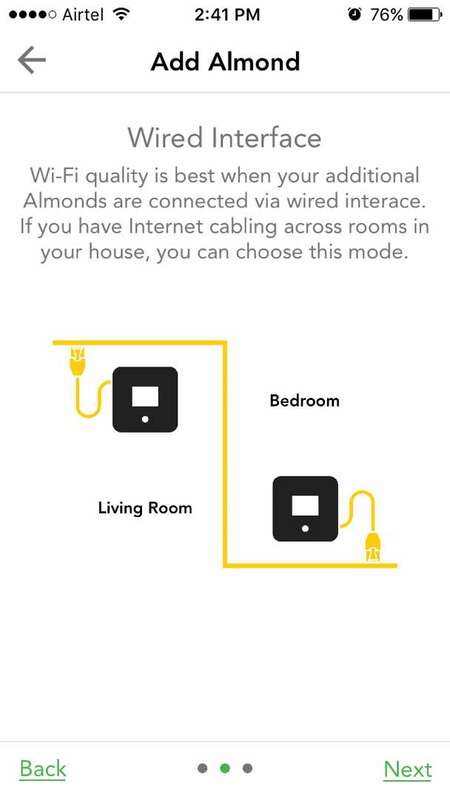 This can be particularly useful when it would be difficult to add Ethernet cable runs. It should be noted that powerline adapters are susceptible to interference on the power wiring, poor wiring connections, or long distances of wiring. These conditions can cause the adapters to provide poor data connections. 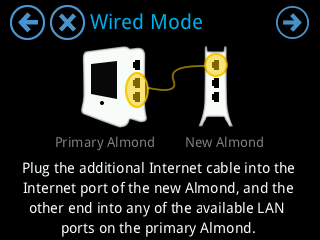 Step 1: Once a connection is made between the Primary and Secondary Almond 3 devices, tap on “Add Almond” on the Primary unit. Step 2: Tap on “Wired”. Step 3: Verify the physical setup. 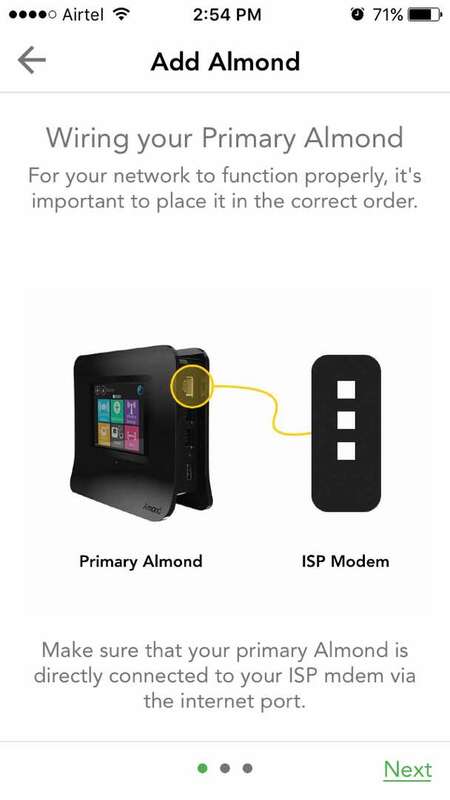 Make sure the connection is from a LAN port on the Primary to the WAN port on the Secondary then tap on the top right “Arrow” to continue. NOTE: The physical setup will vary depending on the method used for connecting between the devices. However, the outgoing connection from the Primary will always be from a LAN port and the incoming connection to the Secondary will always be at the WAN port. Step 4: The Primary is now in pairing mode and searching for a new Secondary device. NOTE: If this is the first time the Secondary has been set up, make sure the Secondary starts on the Language screen. 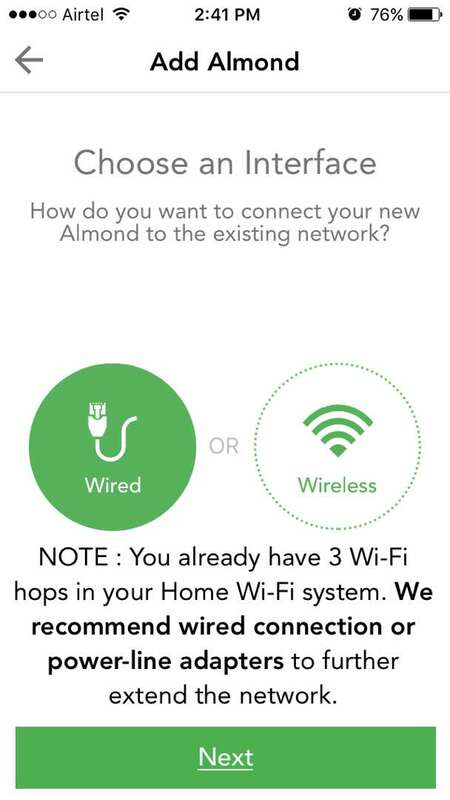 If it has been setup before, go through the Wizard and select the option to “Join existing Home WiFI system” to continue. Step 5: Once the Primary communicates with the Secondary device, it will show up in the list. Step 6: Select the Secondary device and tap on “Next”. Step 7: Verify that the front LED is blinking on the Secondary device. Tap on “Yes” accordingly. Step 8: Please wait while the Primary and Secondary devices communicate with each other. 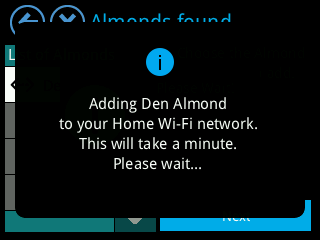 First a “Please Wait!” screen will be displayed then a notification that the Secondary device is being added. Step 9: Choose a location or create a custom location (by selecting Custom at the bottom of the list) for the Secondary device. 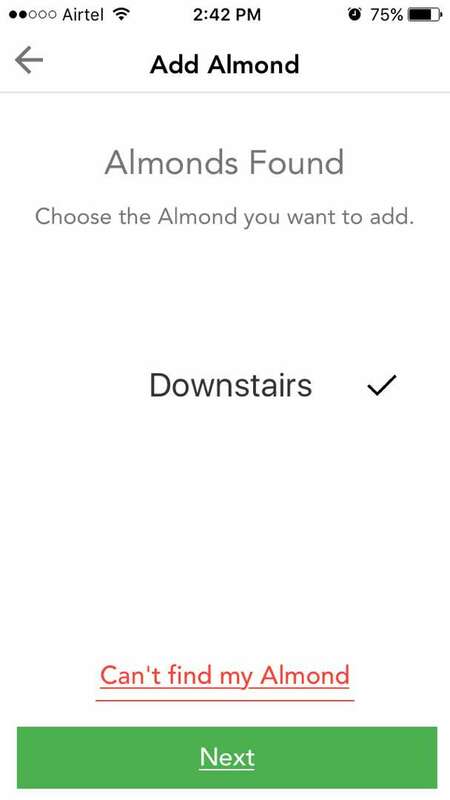 This makes it easier to track the connection status through the Primary Almond or via the App. Step 10: Setup is now complete. 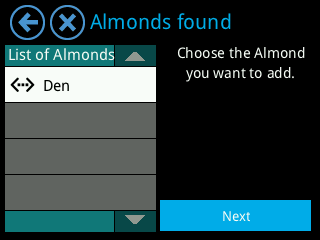 Tap on “Add Another Almond” to add additional devices or “Done” if there are no more devices to add. 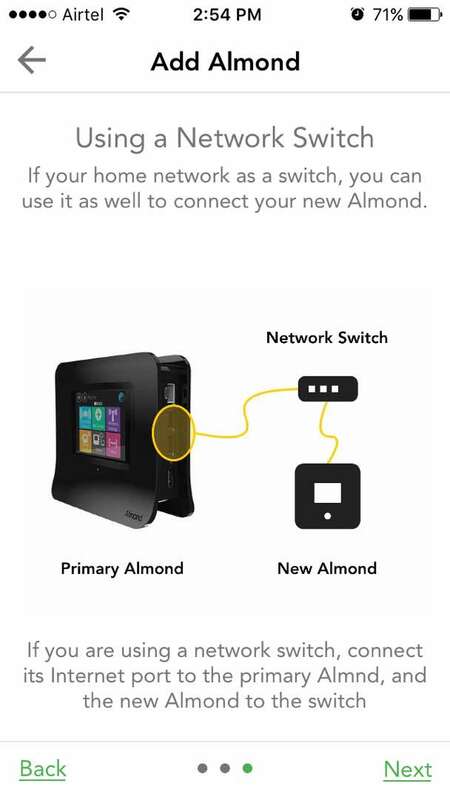 In order to set up Home WiFi System (Mesh) through Almond App, please make sure one of the Almond 3 device is set up as a Primary Router and linked to the Cloud. 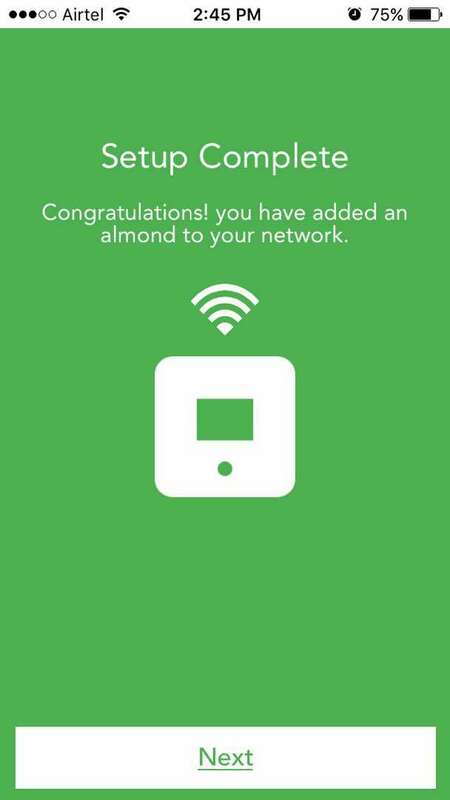 To set up Mesh, tap “Settings” from the dashboard of the Almond App and then tap on “Add Almond” under “Almond Network” and follow the below instructions to complete the set up. 1) Tap on “Next” after verifying the physical setup with the primary unit. 2) Now, ensure that the secondary devices are properly connected to via long Ethernet cables/ Ethernet Jacks. 3) Tap on “Next” as it is “Wired Mesh” setup. 4) Tap on “Wired” to proceed with Wired Mesh setup. 5) Tap on “Next” if you have already verified the physical setup shown below. 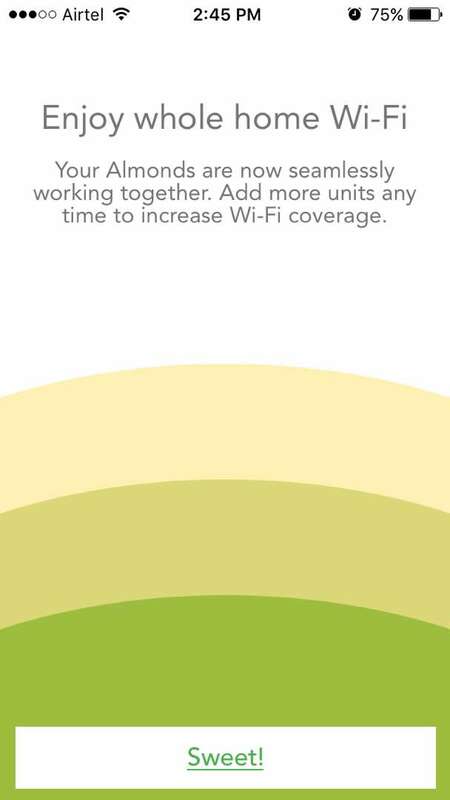 6) Tap on “Next”, if you have verified the setup of secondary devices. 7) Verify the setup in case of a “Network Switch”. 8.) 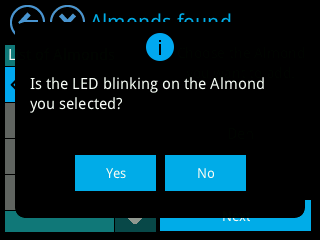 Please select the Primary Almond 3 device from the list. 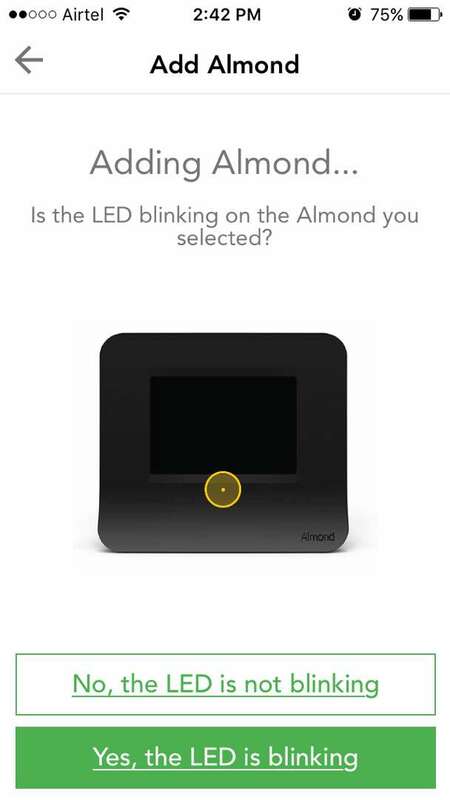 9) Check if the LED light is blinking on the primary Almond. 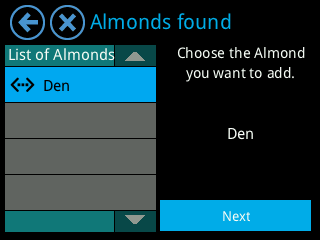 It indicates that secondary and primary Almond 3 are communicating with each other. 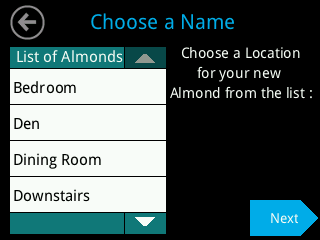 10) Choose the location name for your secondary Almond. 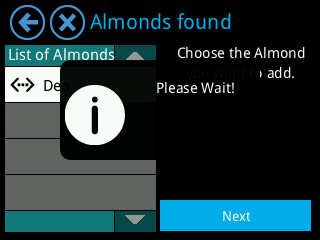 Please ensure that it is different from primary or the other Almond units because, it would be easy to track the status of this unit. 11) Now, below screen would show you that set is complete. 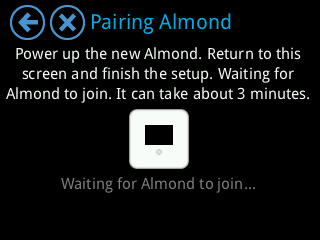 12) If you would like adding more Almond 3 devices under Mesh, tap on “ Add Another Almond” on the Almond App.